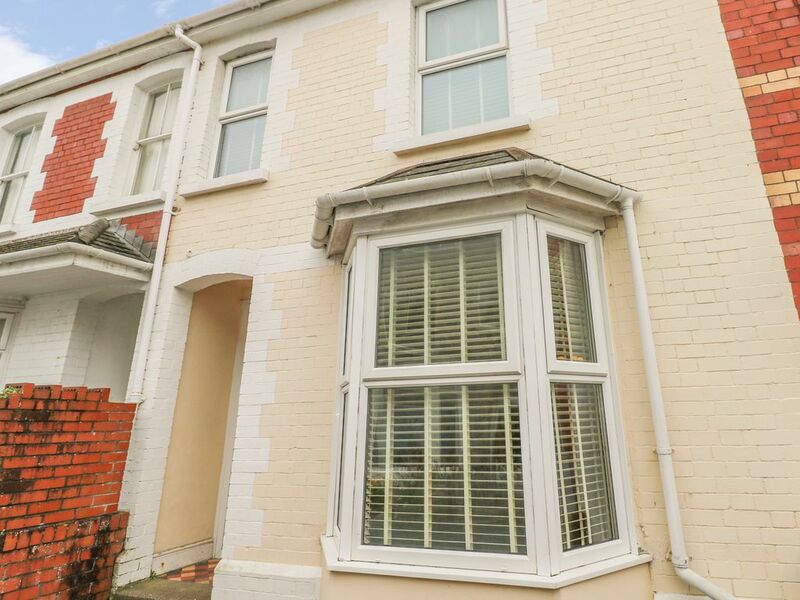 This stunning cottage is located in Porthcawl, Wales and can sleep six people in three bedrooms. Sandy Cottage is a wonderful cottage located in Porthcawl, Wales. It has three bedrooms; one king-size, one double and one twin, with a separate family bathroom and a ground floor cloakroom with basin and WC. Downstairs has an open-plan living room with a fitted kitchen and dining area with an electric fire and a utility area. Outside has an enclosed patio area with furniture. Off-road parking is available for one car. Sandy Cottage is the ideal base for exploring the coast of Wales. Amenities: Gas central heating, electric fire. Range electric oven and gas hob, microwave, toaster, kettle, fridge/freezer, TV and WiFi. Fuel and power inc. in rent. Bed linen and towels inc. in rent. Travel cot and highchair. Off-road parking for one car. Enclosed patio area with furniture. Sorry, no pets and no smoking. Shop 0.2 miles and pub 0.01 miles. Town: Porthcawl is a town in Wales, in the county borough of Brigend. Situated on the coast, you will have easy access to plenty of nearby Blue Flag sandy beaches for fun-filled family days out. The town has plenty of annual festivals you can visit, including the Porthcawl Town Carnival, The Porthcawl Jazz & Blues Festival and the Elvis Festival. The town offers a wide-selection of pubs, restaurants, shops and supermarkets to explore for all your amenities. Gas central heating, electric fire. Range electric oven and gas hob, microwave, toaster, kettle, fridge/freezer, TV and WiFi. Fuel and power inc. in rent. Bed linen and towels inc. in rent. Travel cot and highchair. Off-road parking for one car. Enclosed patio area with furniture. Sorry, no pets and no smoking. Shop 0.2 miles and pub 0.01 miles.